Impact implies of a sense of action and or reaction. It could suggest contact, either physical or emotional. It’s relational and dependent. Impact implies movement or that something is ongoing. Perhaps it is yet to cease or the end is undefined or indefinite. The exhibition, Impact, gives the viewer a sense of motion both through the physical display of dynamic audio-visual materials as well as thematically. The four artists each explore diverse aspects of the continued impacts of colonisation. They seek to highlight the ongoing dispossession of land and people as well as the widespread impacts of environmental degradation. The exhibition rejects hegemonic discourses of fleeting Indigenous cultures and asserts these issues within their contemporary context. Julietta Park has curated the exhibition in a way that explores both individual and collectivist histories and narratives. The displaced mother and her absent child in Michael Cook’s Mother, explores his own childhood separation as well as the untold consequences of the Stolen Generation. Fiona Foley’s piece Vexed collates short but visually powerful vignettes. They are overlayed with diegetic narrations about sexual violence towards Aboriginal women during the colonial frontier. It exposes history and addresses its impact on kinship groups through the use of waning images of an Indigenous woman who intimately shares space with, but never comes into contact with an Indigenous man. 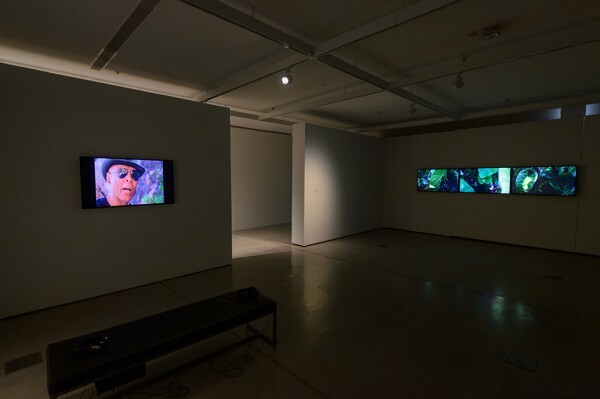 Angela Tiatia’s piece Tuvalu utilises three audio-visual panels to explore the everyday impact of climate change and environmental degradation on people living in the South Pacific. Imagery of rising sea levels and plastic debris overtly demonstrate the effects of social and economic globalisation, whilst the motif of the child thematically explores inter-generational and future impacts. The final frames, which merge imagery of bodies and water, highlight the inextricable links between people and place. Similarly Taloi Havini’s, Habitat: Konawiru explores the continued injustices of environmental destruction and land dispossession due to mining in the Autonomous Region of Bougainville. The artists in this exhibition challenge the infrastructure of art by engaging with it in a process of decolonisation and decommodification. Additionally the exhibition creates understanding about impact, motion and continuity. The pieces generate strong emotional and physical reactions within the viewer whilst subsequently asserting calls for action. These works effectively engage with the histories, discourses and continued concerns of Indigenous peoples as told through their own voices. This essay was produced as part of the UTS Gallery Student Writing Program, and is also published on ArtsHub. Impact is on display at UTS Gallery from 9 May – 30 June 2017.